The most important part of our practice philosophy is prevention. This is why regular visits are vital to your dental health. What do we aim to prevent? Disease of course! 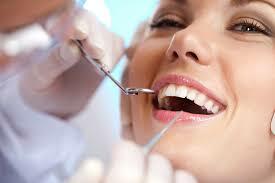 Gum disease (periodontitis), tooth decay, clenching problems including headaches, abrasion, erosion. If you are young (25+) and healthy, you may only require a yearly check up, but other groups require more frequent visits; adults under 25years, children, people with gum disease, people who grind heavily or suffer from acid erosion. Prevention will save you money in the long term!